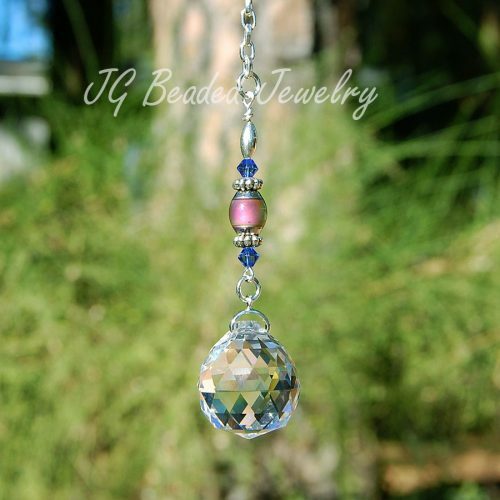 This rainbow prism beaded crystal suncatcher is uniquely designed with care for strength and longevity! 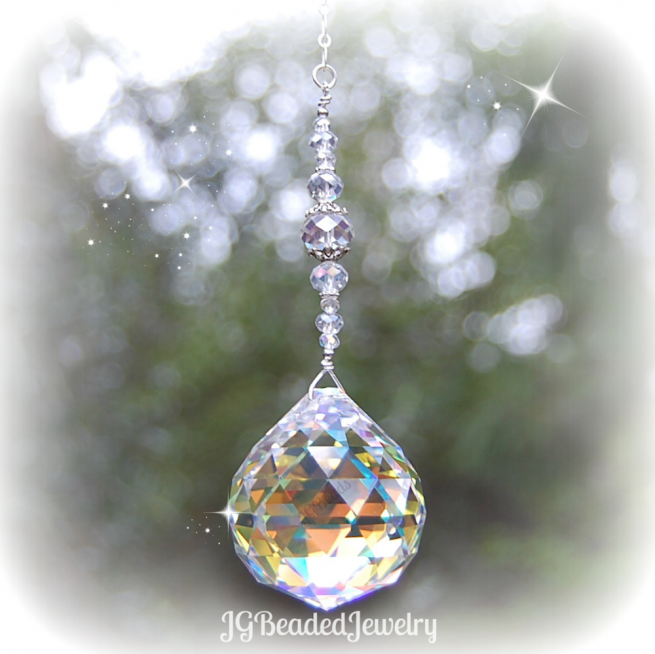 The lovely faceted 40mm prism is embellished with gorgeous iridescent crystal beads and fancy silver metal beads to accent the suncatcher. 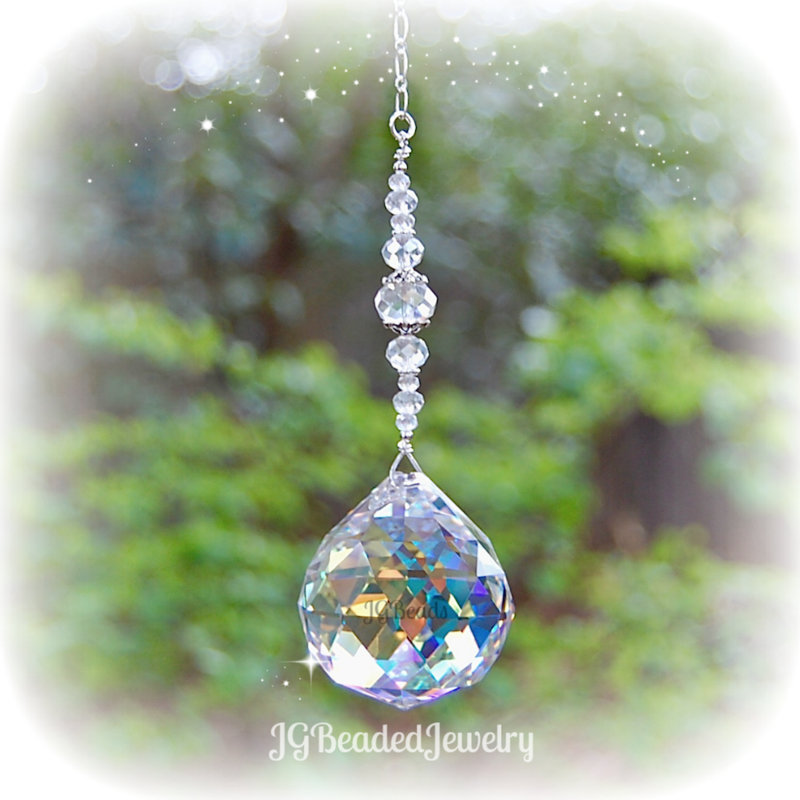 The hanging length is 15 inches. 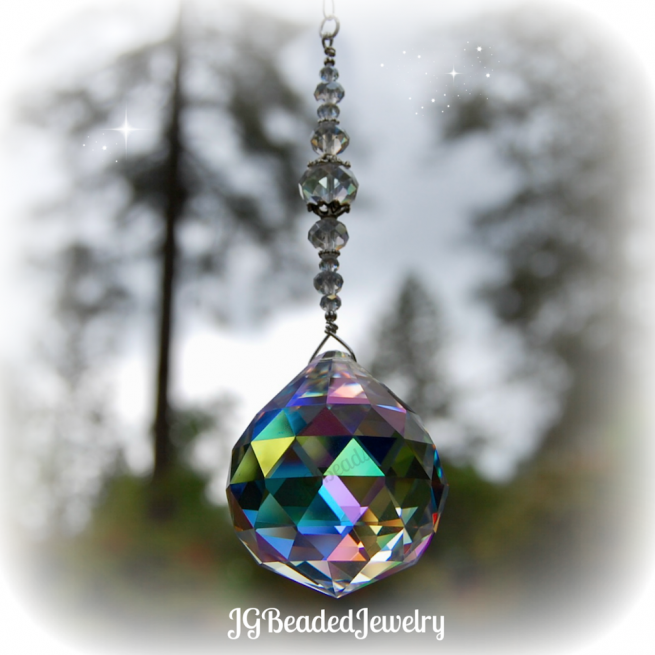 The rainbow prism crystal ball comes in your choice of Clear AB or Crystal Clear. The Clear AB is shown in the photos and has a partial aurora borealis finish which assists in creating vibrant rainbows when the sun hits it. 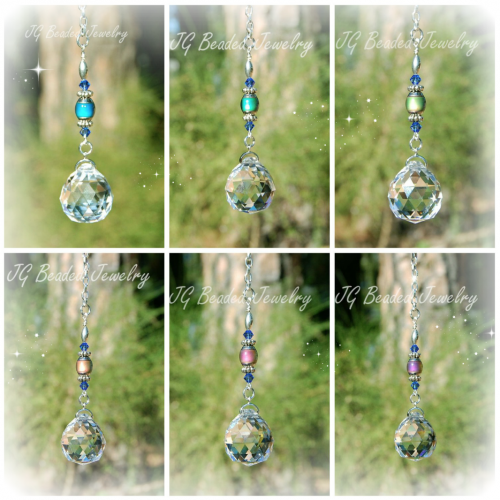 You will find the rainbows splashed around the room during around the same time of day depending on the sun! Hang it in a window in the kitchen, sun room, porch, garden or wherever makes you happy. 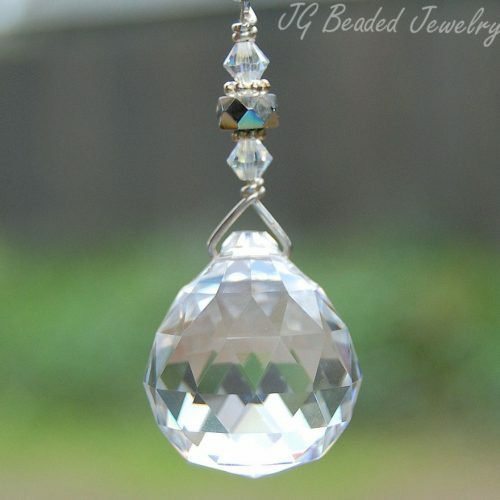 ♥ This prism crystal suncatcher is large/heavy and is NOT intended for the rearview mirror. If you like this design and wish to have it in a smaller size that is suitable for the rearview, please send a message with your request.